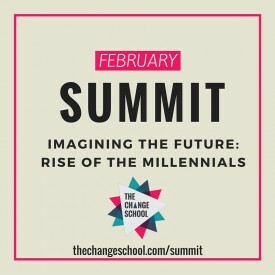 Our 2016 SUMMIT kicked off over the Lunar New Year on Tuesday, February 9th, with our first four Humans Of Change talks on IMAGINING THE FUTURE: Rise Of The Millennials. 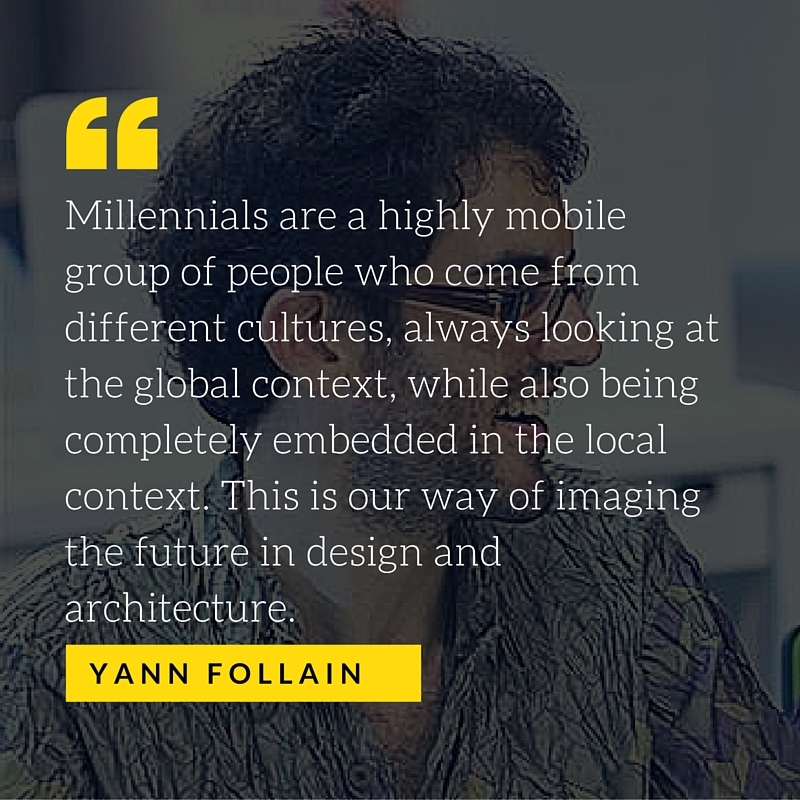 It is said that by 2020 Millennials will comprise more than half of the global workforce. The rise of this new generation is rewriting the rules of consumerism, digital communication, and the world of work. What are the implications for the future of Global Citizenship with the growth of these creative, socially conscious, digital natives? 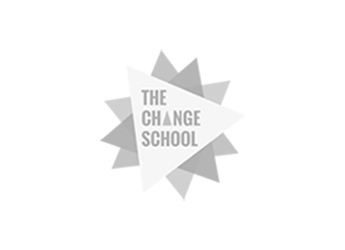 What will be the new challenges and opportunities to catalyse change? We asked this month's speakers to share their experiences, insights and life work that embody the spirit of Global Citizenry, in order to understand the key ingredients to cultivating a Global Citizen mindset. Be sure to subscribe to our YouTube channel to hear from our Humans of Change every Tuesday 8pm GMT+8. What is a Global Citizen Mindset? What is the importance of Millennials in building the future of Global Citizenship? What experiences enabled you to develop your Global Mindset? In my work, imagining the future is about understanding the role of culture in urban design and architecture. Currently I am doing this through my work with Singapore’s Project 2050 for future Asian civilisations. A continuous process of learning, sharing and moving forward, along the spectrum of being a more responsible global citizen every single day. It's not about figures, it's about people caring and being smart about the actions we take. It's not good enough to have good intentions because good intentions don't always bring good outcomes. I think we're getting smarter and better with our intentions... listening, learning and sharing and working together hand in hand. More than 50% of the world world are under 40 so there is an incredible shift on how society does things in the world today. Millennials need to know that the things they do today are just as important, significant and powerful as any time in the future and they need to believe that in themselves, because society doesn't always give them the recognition they deserve. I believe they have a beautiful outlook on life and a great sense of social justice. They are asking themselves How can I be a good Global Citizen? Surround yourself in the ecosystem of good people doing good things, and contribute to what other people are doing. It wasn’t quite a linear path to becoming a teacher. An early turning point was when I decided to learn Japanese and work there as a baker; my next stint at age 22 was climbing the mountains of Kurdistan which opened my eyes to the injustice of the world and the importance for all to have equal access and opportunity. This led me to become an active Global Citizen. 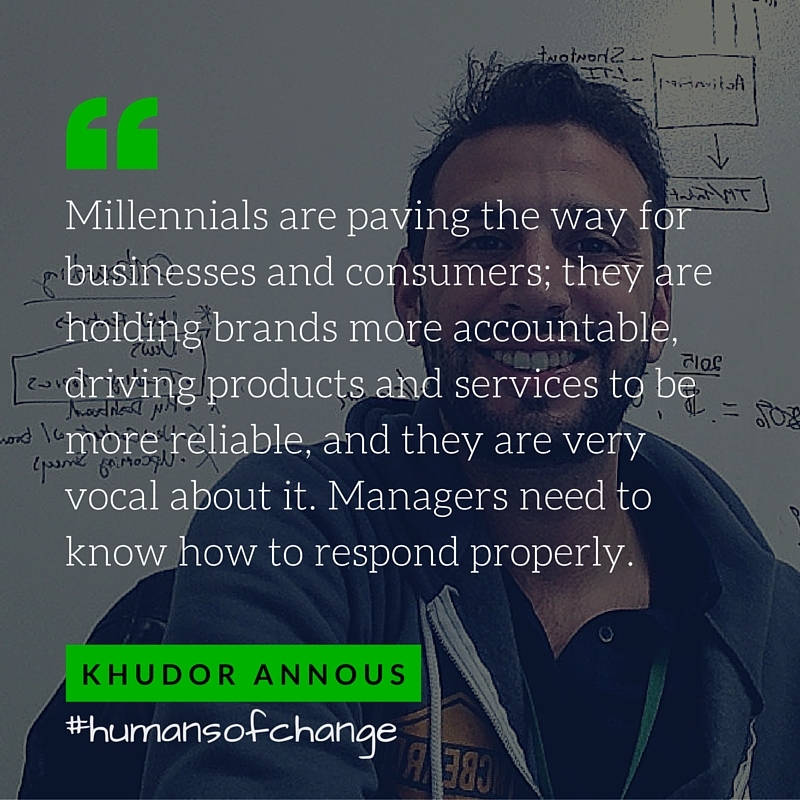 Business managers need to know how to respond to the Millennial mindset properly; it can be scary, but by and large it makes us more effective as managers, and individuals, and improves product development by holding us accountable. We are focused on working with content creators and brands all over the world, which requires us to think about how consumers abroad interact with particular brands, the political climate, as well as cultural sensitivities. The world is a flatter, smaller place today. You can’t just develop a product for the 25 year old living in rural Texas, because it also needs to appeal to the 25 year old in Istanbul. You need to understand how those individuals think, connect, interact, and what ultimately matters to them. Thinking outside of convention and tradition and seeing the many unique perspectives and experiences that really deconstruct everything we experience individually (e.g. social class). The Global Citizen mindset is a limitless mindset; we are all global citizens because we are individuals united by a shared set of values and principles: love, compassion, a sense of intention and purpose, and we wall want to share our perspectives with the world, in order to be and feel connected to something bigger than ourselves. Millennials are the most multicultural in their ideas, perspectives, experiences, history, traditions that are timeless, and need to bring those values together in order to help shape conversations and add value to the way countries function. A new type of activism is needed and Millennials in the social media space need to use their interests, stories and unique value to create the culture they want to see. 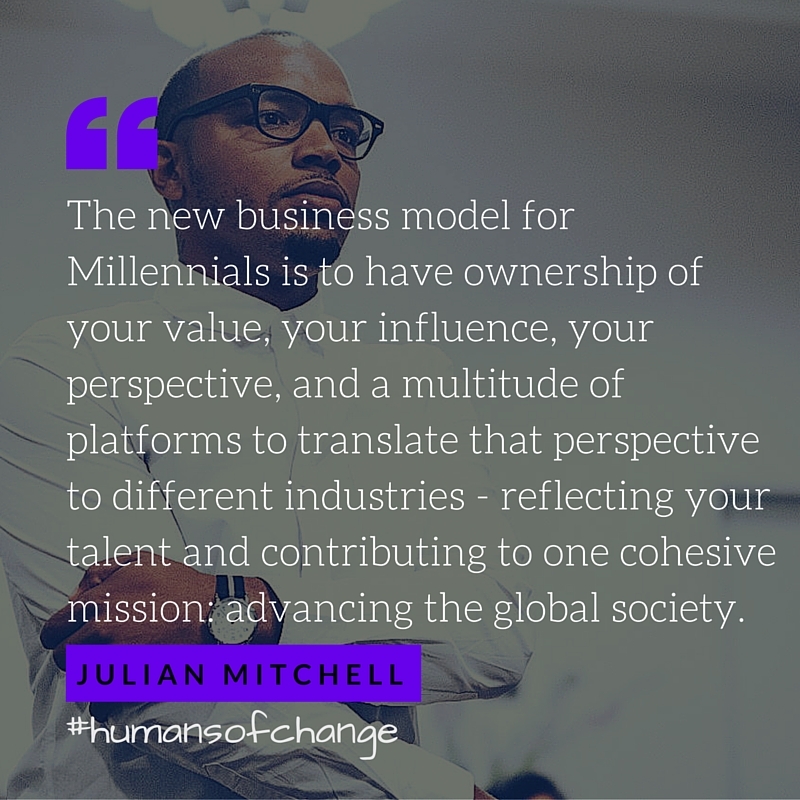 The new economy for Millennials is about advancing the global society and empowering the global community to do the same. Millennials understand the issues and also the perspectives of their artistry and are able to take an unconventional route to build camaraderie and community on a global level - thorough experiential activations, content, and visual storytelling with a positive message. 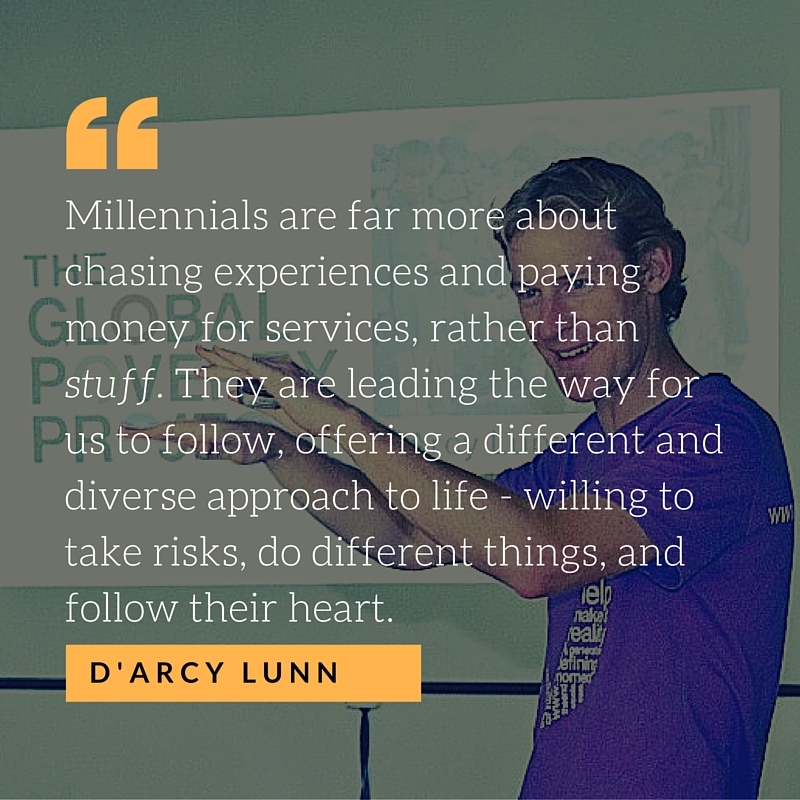 Rise of the Millennials is an uprising that affects the economy, industries, social climate, and gets people to think and take action in a new way. We are rethinking what is important and how we work. Enterprise is an economic freedom - we are in an era of entrepreneurs and entrepreneurs who can create micro businesses and our own business models to to create campaigns that connect with people in an authentic way. My thing is, you get paid for your value, not your time. We want to take control of our work, our time, and the stories we tell. If our perspective is powerful and our value is in demand, then we can create our own economy that is independent and interdependent based on collaboration and partnership, taking one set of experiences and translating them across multiple industries and cultures.